Our 2016/2017 academic year got off to a great start in Term 1. The UCL-Energy's seminar series was exceptionally well attended during this first term and hosted speakers from academia and industry who spoke on a wide range of topics including national and global energy security, air pollution and using communities as tool for household energy saving. Both staff and students experienced success this term with a number of high profile publications. The first I want to mention is what may seem to many to be an obscure paper on a narrow technical matter - Inferring the thermal resistance and effective thermal mass distribution of a wall from in situ measurements to characterise heat transfer at both the interior and exterior surfaces, by Virginia Gori, Valentina Marincioni, Phillip Biddulph and Cliff Elwell. This is important because in the last analysis, almost all of the rest of the work of the Institute sits on foundational concepts such as the U value, which we need to be able to measure, model and beyond that to control so that we can reduce energy demand and control carbon emissions. This team's work on the measurement of U values and the associated concept of thermal mass is among the best there is and the most significant that we do. The fact that the Energy Institute's spans everything from this to whole systems energy modelling and the design of policy, has played a large part in our success since we were launched in 2009. UCL-Energy's report calling on Government to reassess its approach to energy efficiency in non-domestic buildings was published by the Climate Change Committee in October. In November the European Parliament published the Energy Poverty Handbook which contained contributions from UCL-Energy staff. Also in November, UCL-Energy and the UCL Institute for Sustainable Resources published 'Electricity in transition: economic and policy dimensions', a submission to the House of Lords Economic Affairs Committee's Inquiry into The Economics of UK Energy Policy. This report stated abandoning the UK carbon price support - introduced in 2013 as incentive to reduce the burning of fossil fuels and to encourage lower-carbon energy sources - could seriously undermine crucial energy investment. This was a successful term for UCL-Energy students as well. The UCL-Energy MRes in Energy Demand Studies and MSc in Economics and Policy of Energy and the Environment got underway with over 90 new students having joined the programmes. UCL-Energy doctoral researcher Joel Guilbaud successfully completed his PhD viva in October and the PhD lead Energy Demand and Practice series held its first seminar of the year. The London-Loughborough (LoLo) EPSRC Centre for Doctoral Training (CDT) in Energy Demand held its 7th annual colloquium this term. At the colloquium the final year PhD students presented their work on a wide range of topics: thermal structure of walls, insulation in solid wall houses, assessing daylighting performance in schools, evaluation of retrofit strategies, quantifying the energy demand response of domestic appliances and predicting overheating risk in UK homes. There was also a poster session and a fascinating keynote speech from Claire Curtis-Thomas from the British Board of Agrèment (BBA). She spoke about the challenges and issues of insulating the UK housing stock - and this brings me back, once again, to the subject of fundamentals. The question posed by this keynote presentation is whether, as a society, we have or can develop the ability to intervene, at scale, in energy end use demand systems to reduce energy use and CO2 emissions? The fact that neither the answer to that question nor the means to address it are clear, is part of our raison d'être as an institute. 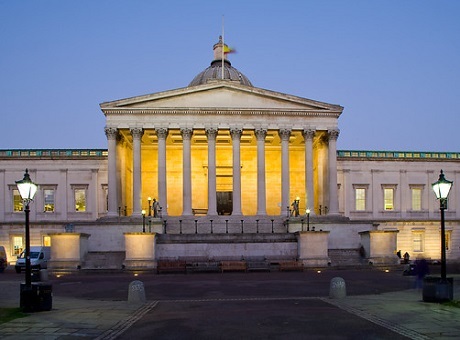 2016 may have been a tumultuous year both nationally and internationally, but at UCL-Energy we are looking forward to building on the challenges of the past and working toward future opportunities in 2017.